We have moved our Parcelforce Brightpearl integration to Shiptheory. We'd love you to try it. Our PCI Compliant Brightpearl Portal helps Brightpearl customers to integrate and automate third party services, optimising workflow and reducing human error. If you use Parcelforce to ship your orders, we can help you integrate Brightpearl and Parcelforce to allow you to automatically print Parcelforce labels without having to manually enter consignment information into the the Parcelforce website. Fulfill an order in Brightpearl and Print and/or Pick the corresponding Goods Out Note and our cloud based Brightpearl Portal will automatically create a Parcelforce label. Customer details, shipping method and consignment weight is sent to Parcelforce, returning a tracking number and marking the Goods Out Note as Packed and Shipped. You can thereafter login to our PCI Compliant Brightpearl Portal and view and print any pending Parcelforce shipping labels as well as viewing and reprinting older labels. Automatically send Goods Out Note data to Parcelforce based on Goods Out Note Status. Parcelforce Tracking information returned to Brightpearl. View, print and re-print Parcelforce labels. Map Parcelforce Delivery Methods from Brightpearl. Contact us here to try our Parcelforce Brightpearl integration for 15 day free, with no obligation. 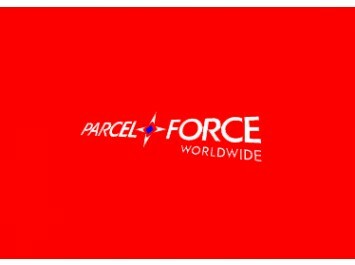 We set up the Parcelforce integration for you, so you do not have to worry about getting technical. Need help or have questions? Contact Support.